Features/functions, obsolescence and reliability drive investment. This just in: Our 2018 contact center technology survey shows that some things never change, even in an era of massive change! 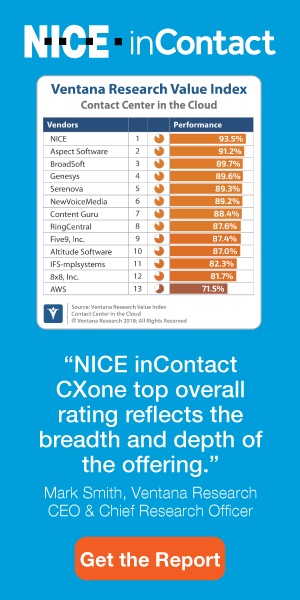 It had been six years since we reached out to contact center professionals to take stock of their technology views. Over the intervening years, the prevailing standards of service excellence have continued to rise. New technologies and sourcing options (like the cloud!) have continued to create opportunities (and confusion) for contact center management. And the message to do more with less (and faster) has never been louder. So it seemed an auspicious time to check in. Unfortunately, many of the challenges still remain: tight budgets, end-of-life technology, reliability issues, and insufficient resources for implementation and support. This article explores the survey results and provides some expert commentary. Contact centers continue to struggle with getting the resources, tools and budget they need. Today’s principal drivers for technology acquisition reflect the important mission of the center to provide responsive, reliable, cost-effective service. Feature and function gaps earned the top spot in technology acquisition drivers (see Figure 1). Two areas loom large. Omnichannel service has become a hotbed of activity as centers endeavor to provide access using their customers’ preferred media. Omnichannel support requires specialized technology as well as processes and tools to enable a seamless customer experience across channels. Workforce optimization represents another hotbed of activity to help agents achieve proficiency and meet performance goals. These investments have big implications for efficiency, sales results, customer experience, staff retention and more. Nearly 50% of survey participants need to replace outdated technology. Given that 40% of participants reported that stability and reliability issues provide strong motivations for change, it’s reasonable to assume that the old technology produces failure conditions that neither the vendor nor staff can contain. Unfortunately, a vulnerable contact center often gives rise to a hurried selection process that may or may not meet the center’s long-term needs. A booming economy may account for another top driver: growth. Business expansion has a ripple-effect on the contact center, causing 41% of our participants to seek replacements or add-on technology to support their burgeoning staff. The transition to cloud-based technology, in itself, did not rise to the top of the list. However, this driver has increased four-fold since our survey six years ago. As noted in a later section, this sourcing option may play a prominent role in the selection process when other drivers suggest the need for change. Consistent with the technology drivers, featuresfunctions have moved to the top of the list in evaluation criteria, with cost a close second (see Figure 2). That’s an interesting development given that cost led the pack six years ago at 82%. We take this change as a favorable indicator that senior leadership recognizes the value of getting the /right solution at the right price, not just the least expensive one. Participants also placed high value on criteria that have a direct impact on operations—i.e., ease of use, stability/reliability, and agility. However, characteristics tied to delivery—such as contact center experience, implementation, and support—rated relatively low. It’s easy to understand why these criteria were overshadowed by the others. However, the vendor’s (or their partners) role in the overall success of the project should not be underestimated and merits careful consideration. Roughly one-third of contact centers in our survey have already implemented cloud technology. The majority of those who have yet to take the plunge express willingness to consider these solutions. The comfort with the cloud spans solution types, with Performance management tools generating the greatest interest (see Figure 3). The percentage of centers that would not consider cloud technology has dropped since our 2012 survey. To their credit, many cloud-based vendors have created offerings that offer parity with their premise-based counterparts, so features/functions are not stumbling blocks in the decision process. Security remains the strongest barrier to adoption by far, with 60% of participants raising their hand with that fear. Contact centers routinely traffic in sensitive information for which the risk of a breach carries competitive and legal implications, not to mention potential risk to their brand. Many are unwilling to consider sharing any responsibility for protecting these vital assets with third parties. Yet vendors have been bending over backwards to implement technologies, tools and processes to address this concern. In many cases, they may actually provide better security than an in-house operation, but the lack of control may be unnerving. To overcome buyers’ fears, vendors will need to do a better job educating the market on their safeguards, working with prospective clients to address control issues, and establishing their reputations as trusted business partners (see Figure 4). While the views on cloud did not vary tremendously by size, one surprising finding in this year’s survey was the relatively low penetration of, and interest in, cloud-based solutions among the smallest centers. One of cloud’s strong selling points is the ease with which smaller centers can gain access to advanced capabilities that might otherwise not be affordable. Perhaps these centers develop (manual) work-arounds for their lack of technology and/or find the total cost of ownership too high. The 2018 results regarding implementation were consistent with 2012. Integrating disparate applications into a coherent contact center technology architecture remains the number one challenge. The chronic shortage of IT and telecom resources only exacerbates the problem. Both issues elevate the appeal of single vendor solutions as well as leveraging open platforms and APIs. They also provide ample incentive to consider cloud-based solutions. The data also confirms the experience of far too many contact centers—too few resources to do a proper job of implementation, compounded by time pressure and resistance to change (see Figure 5). In order to get the most out of any technology investment, centers need appropriate levels of time, talent and money for effective project and change management. They also need sustained resources for ongoing maintenance and continuous improvement. As an industry, we need to continue to sound the clarion call for these investments and communicate clearly what’s at stake when they are shortchanged. Only one-fifth of all centers surveyed consider their technology infrastructure to be highly stable, down from over one-third six years ago. Nearly 17% report having frequent issues that impact their ability to serve customers, up from 12% when last measured (see Figure 6). These findings may be influenced by a preponderance of aging technology. Complexity is another factor that impacts reliability. Omnichannel self-service and assisted service, enhanced performance tools and extensive integration are essential parts of the center’s ecosystem. With greater interdependency of the applications and the networks on which they run, contact center technology has become increasingly vulnerable. Given complexity, vulnerability and integration of a wide range of technologies, it’s crucial to have a strong technical support structure. On balance, survey participants were satisfied with their support, with few rating it as “bad” (see table 1). However, these metrics have deteriorated slightly since our last survey, showing users have to push for results, rather than experiencing vendors and IT departments that are proactive and quick to respond. Contact center leadership has been doing a good job selling their executives on the importance of securing the right technology, with the goal of delivering more value to the corporation while making the most effective use of frontline resources. However, the investment in technology must be paired with careful attention to application design, project management and change management. The center also needs the right number and level of resources for ongoing administration, support, and maintenance of these mission-critical assets. There’s no sense funding powerful tools only to let them function at a fraction of their potential. We also take note of the downward trends in reliability and technical support. Unfortunately, we don’t think technology is going to get any less complicated; in fact, the opposite is true! And we don’t expect that senior management will suddenly loosen the purse strings to provide all of the resources that the center wants and needs. So the task at hand is to make the most of what is given and forge strong working relationships with IT/Telecom, vendors and other partners.